The southernmost frontiers of Europe, those separating Morocco from the Spanish enclaves of Ceuta and Melilla are best known for their shameful fences that aim to prevent sub-Saharan migrants entering Europe. This isn’t, however, the only human rights violations committed in the area. The recent death of two „porters“, Moroccan women who transport large volumes of goods between Morocco and the Spanish autonomous cities, has drawn attention to the humiliating condition in which they work. The situation has been denounced by several organisations working in the area, such as the Pro Human Rights Association of Andalusia (APDHA). Apart from labour exploitation, these women are subjected to daily verbal violence and degrading treatment from police forces on both sides of the border. 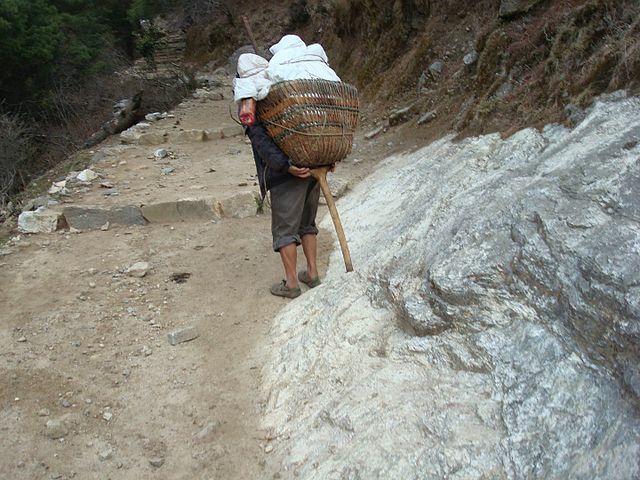 In total, about 7,000 women carry heavy loads of goods (between 60 and 90 kilograms) for hours, earning a very low commission for their hardship. Under the impunity of an unregulated trade (which generates about € 1 billion per year), they jeopardise their physical wellbeing and at the same time are regularly threatened by violence from officials representing authorities. The shocking absence of action from Morocco, Spain and the European Union has exacerbated this largely ignored issue. Therefore, urgent must be taken in order to prevent the continuation of such outrageous human rights violations.